Do you want some creative ideas for what you can do on your small-scale farm beside the obvious farming of fruits and vegetables? Check out this list of 21 creative alternative ways to put your farm to use. ​It includes some of the most profitable crops ​for small farms, which can become great income sources if you looking to generate mo​ney from your farm​. However, most can can also be done on a small scale​ for your own personal use and enjoyment. Mushrooms are a crop that most people don't consider when it comes to farming. But there's a big demand for them, and often a lack of supply depending on where you're located. 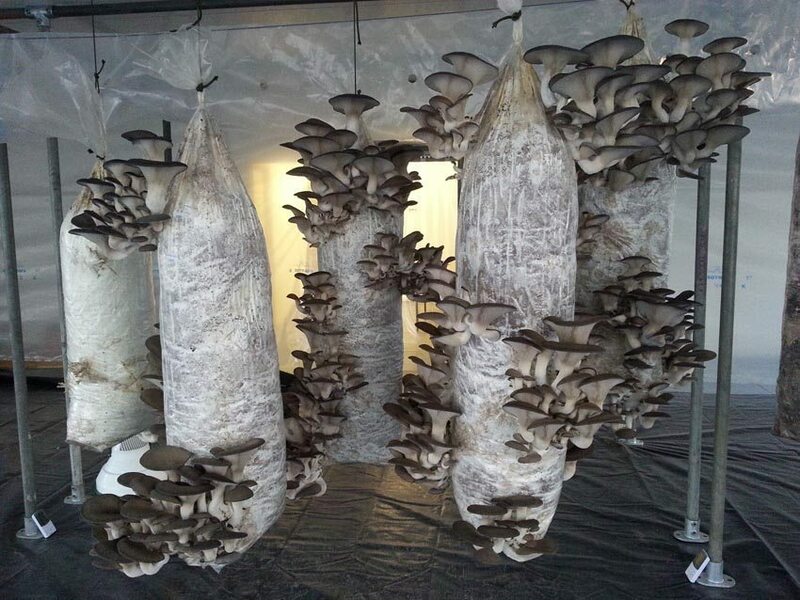 While growing mushrooms you can make use of vertical space to get high yields in a small area. A single room is enough to grow a full-time income's worth of mushrooms. Mushrooms also have a quick growing cycle and you can get many harvests in the same amount of time that it would take to grow one season of wheat or corn. Although they are more time and labor intensive than traditional crops like tomatoes. 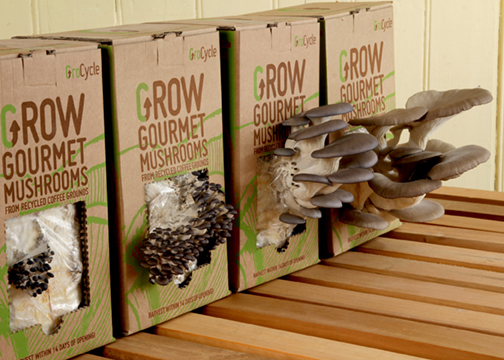 ​Example: GroCycle Mushroom Farm, growing fresh Oyster & Shiitake mushrooms for sale to local restaurants and food outlets. Learn More: Join an online​ community of small scale mushrooms farmers from around the world in our Low Tech Mushroom Farming Online Course. We provide fresh oyster mushrooms to customers from our own farm, as well as providing grow kits and spawn so that people can grow their own mushrooms at home. We also offer a course that teaches people how to grow mushrooms the low-tech way. Microgreens are the stage a plant goes through after they're a sprout, but before they become a baby green and start to grow into a full-sized vegetable. They only take a couple of weeks to grow and they're packed full of nutrition and flavor. Like mushrooms, microgreens are another crop that doesn't require a ton of room to get started. You can begin growing microgreens on a small scale. Just a couple of trays in your basement or greenhouse. Then your business can scale up as your confidence and demand for your product starts to grow. You can sell them at farmers markets or direct to customers. Chefs also love using them both as a garnish and as an ingredient in their meals. Microgreens are an excellent way for small scale farms to grow something in the winter where it's too cold to grow most other crops. ​Example: Foodpedalers.ca is a Canadian company that grows microgreens in shipping containers and delivers its product around Vancouver entirely by bicycle! Learn More: ​Nate Dodson from MicroGreensFarmer.com who teaches how to set up a profitable Microgreens business. A market garden is a small-scale farming operation. Usually all the work is done by hand with very little machinery, and crops are sold directly to restaurants and consumers. A market garden can include fruits, vegetables, livestock, and even flowers. Starting a market garden is a great option if you haven't got hundreds of acres of land. Or if you only want farming to take up part of your time while you have another part-time job. It's a great way for people to return to a lifestyle that focuses more off living off the land without making the switch to being fully reliant on farming for an income. Market gardens have a smaller startup cost and allow you to focus on filling specific gaps in the market that commercial farms might not be able to fill. ​Example: La Ferme des Quarter-Temps. A farm run by Jean-Martin Fortier, who is the author of the book "The Market Gardener." Permaculture is a way of agriculture that's based on sustainability. It moves away from more harmful commercial agricultural practices like monoculture, annual tilling and other farming methods that lead to soil erosion, and the use of pesticides. Permaculture can be defined as a permanent cultural system that is based on observing nature. It's all about working with nature instead of going against it. 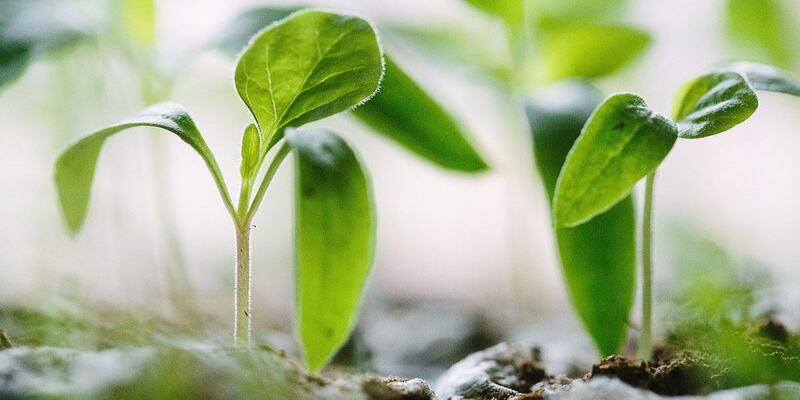 Natural principles are integrated into agricultural processes to create self-sufficient, self-abundant systems that benefit both humanity and the Earth. Permaculture is all about whole systems thinking, and understanding how different parts of the agricultural process interact with one another. ​Making sure people have the resources they need. As much waste as possible should be recycled and returned to the earth, and people should only take what they need before reinvesting surplus. Learn More: Richard Perkins from Ridgedale Permaculture offers one of the most comprehensive online courses for farm-scale permaculture. 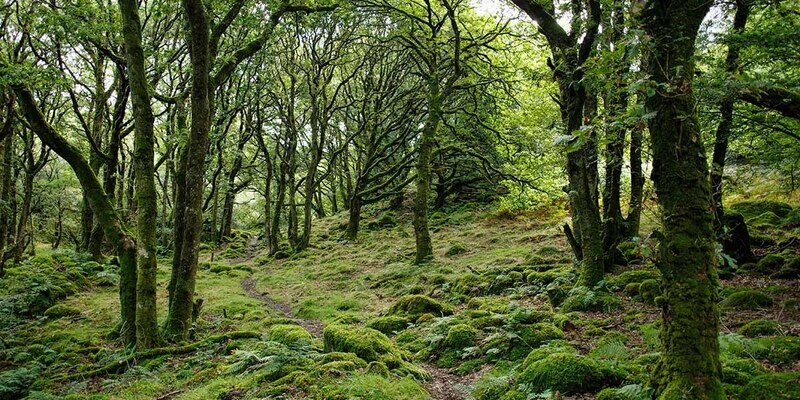 A forest is a low-maintenance and sustainable way to produce food in a woodland ecosystem. It incorporates many different types of plants such as nut and fruit trees, herbs, vines, shrubs, and perennial vegetables. It's companion planting taken to the extreme! Forest gardening is how our ancestors would have farmed in prehistoric times before they were able to clear large, flat areas of land and didn't yet have access to much in the way of tools. It's a type of agroforestry, which is integrating the benefits of trees and shrubs with livestock and crops. This is argued to produce a more productive, healthy, sustainable, diverse, and even more profitable use of land. A seven-layer system is usually at the center of a forest gardening strategy. Forest gardeners use all different layers of the forest. ​And a vertical layer of climbers and vines. Learn More: ​​​Martin Crawford, The Agroforestry Research Trust has distilled his 20+ years of forest gardening into an in-depth online training course. Aquaponics is combining a couple of different farming techniques. Hydroponics, which is growing plants without the use of soil. And aquaponics, which is growing fish or other aquatic animals. 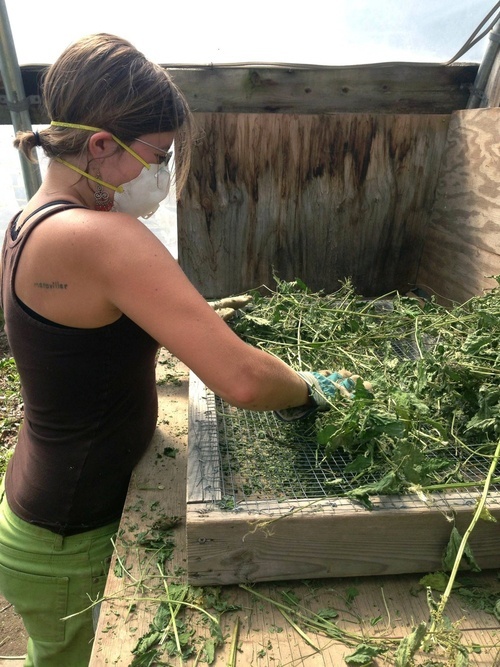 Aquaponics combines these two practices in a symbiotic way. Fish produce waste, which is converted into nitrites by bacteria that can be used to feed the plants. Like most other farming styles, aquaponics can be adapted to all kinds of different levels of complexity and sizes. Aquaponics has a long history dating back thousands of years to ancient China, where rice paddy fields were combined with farming fish such as carp and eels. Some argue the practice may even go back further to the Aztecs who created farming islands in shallow lake beds called chinampas. 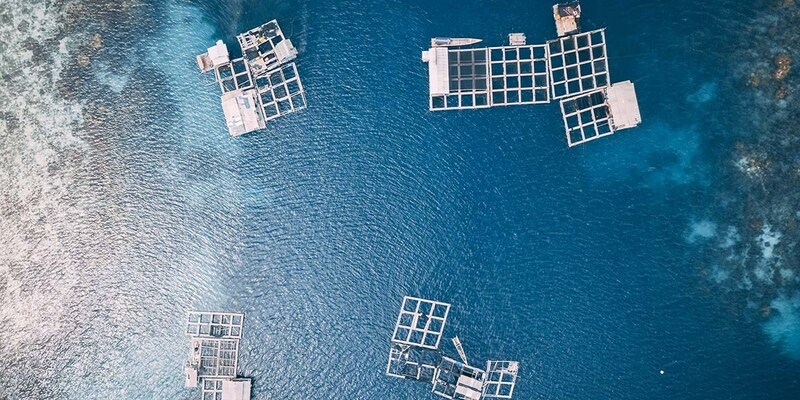 ​A rearing tank where fish are kept. ​A settling basin where uneaten fish food is captured by filters and removed. ​A biofilter where bacteria that nitrifies the aquatic animal waste can live. ​A hydroponics system where plants are grown. ​A sump to pump water around the whole system. ​​Example: Aqua Grow Farms is an aquaponic farm that operates as a food bank, providing about 2,500 servings of fish and 28,000 servings of greens to families in need each year. Learn More: Murray Hallam's Aquaponic Design Course is one of the most comprehensive online trainings in the field of aquaponics. Hydroponics is just aquaponics which we just discussed, but without the fish or other aquatic creatures! Instead, hydroponics relies on adding nutrients to the water to help plants grow. 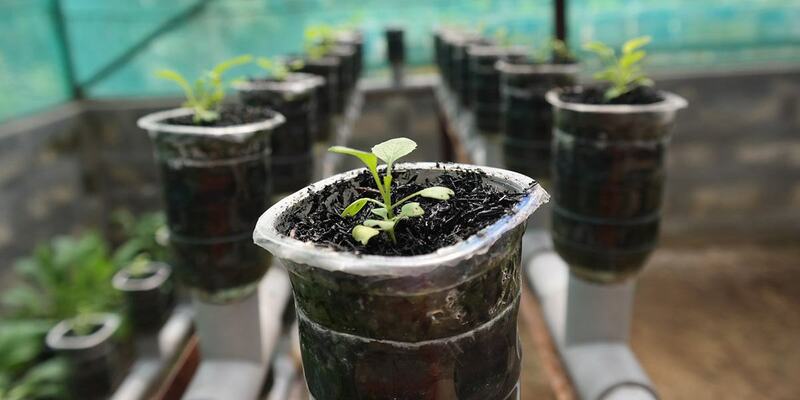 It's a soilless growing method where plants only have their roots in contact with nutrient-rich water. Or they may be supported in a growing medium such as coconut coir or gravel. Most hydroponic operations use chemical fertilizers, although more organic options like manure are also available. There are a number of different hydroponic systems to choose from. There are static solutions where plants are grown in containers like tubs or plastic buckets. Water may be unaerated or only gently aerated. Then there are continuous flow systems where the solution constantly flows past the roots, which allows the plants to better absorb oxygen. There's aeroponics where a plant's roots are only misted with nutrient solution and not actually submerged in liquid. Or ebb and flow systems where plants are flooded with water and then drained several times per day. Hydroponics are a good way to diversify your small scale farming operation and allows you to grow all year indoors or in a greenhouse. 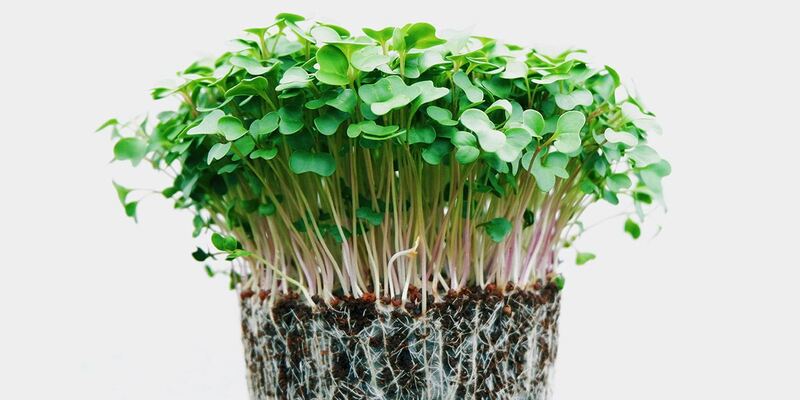 You can grow microgreens in hydroponics as well as full-sized crops. 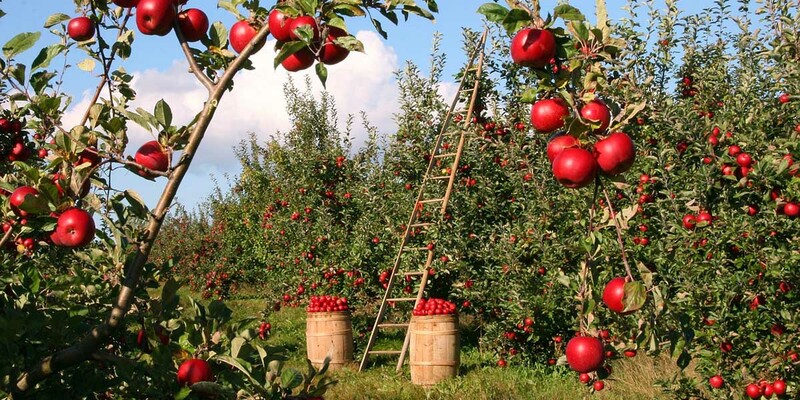 If you intend on using your small farm for fruit trees, then getting them planted right away should be your priority. Fruit trees require a lot of labor up front and you may not get a harvest for several years. But once your trees start to produce fruit, you'll have a relatively passive food source for the life of the trees. You just need to do some basic maintenance and harvesting, and your trees will take care of the rest. ​Apples, plums, pears, and peaches make great choices. If you're in a warmer climate with mild winters, you may even be able to grow oranges, lemons, or figs. No matter what variety of fruit you're growing, I recommend planting dwarf fruit trees. These have a maximum height of around 8 feet which makes them much easier to harvest from. They produce fruit faster than larger trees. If you plant one year old dwarf apple trees, you should hopefully start to get some fruit the very next year! Dwarf trees are also easier to tuck away into corners of your farm that wouldn't otherwise be usable. It's best to choose fruit trees that will all bloom around the same time to ensure good pollination. If trees aren't your thing, why not try planting some blueberry or raspberry bushes instead? You don't need to live in the country to start a small scale farm of your own! 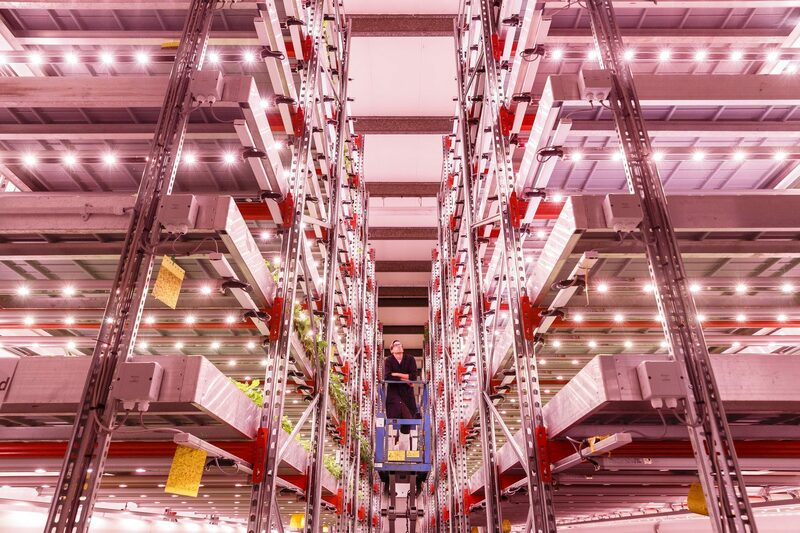 Urban farming is growing, processing, and distributing food in cities and urban areas. It can include growing fruits and vegetables as well as beekeeping and keeping animals like chickens or even goats. 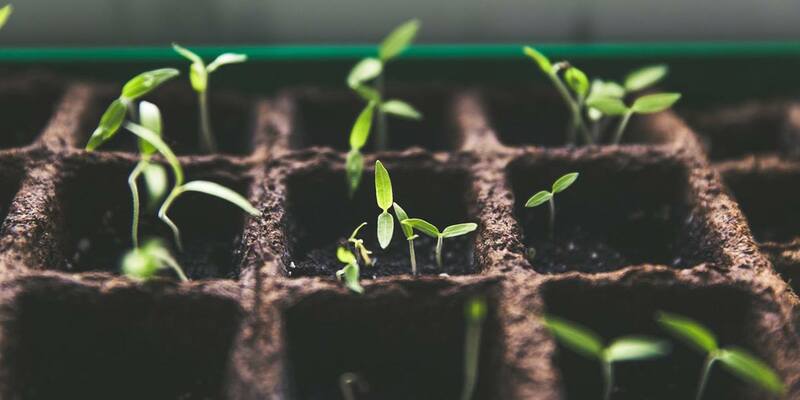 If you want to start an urban farm, the first step you'll need to complete is checking with your city to see what your municipal by-laws say about different types of agriculture within your area. Most cities are becoming more green and eco-friendly, but others are still lagging behind. In some cities you may be allowed to convert your whole front yard into raised beds or raise chickens in your backyards. In others you may be hit with a hefty fine. So make sure that whatever small scale farm ideas you have are legal in your city before you begin. 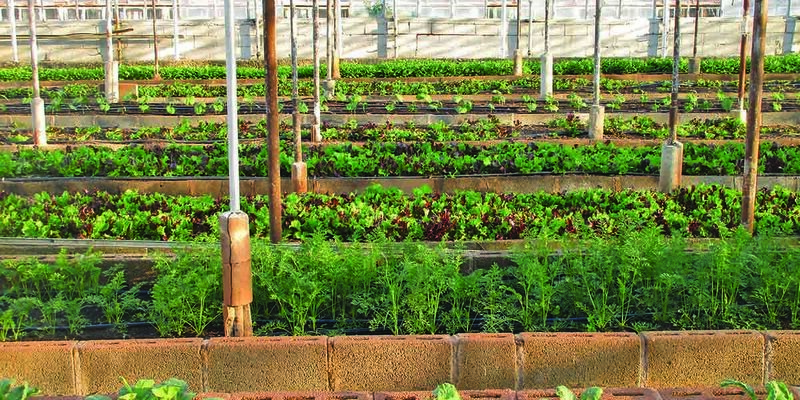 Urban farming is all about making the most of the space you have. You can start off using your own garden to start growing food, and may eventually expand and start growing on other plots in your area. Many homeowners are willing to allow urban farmers to rip up all the grass in their unused backyard and turn their property into a productive farm. 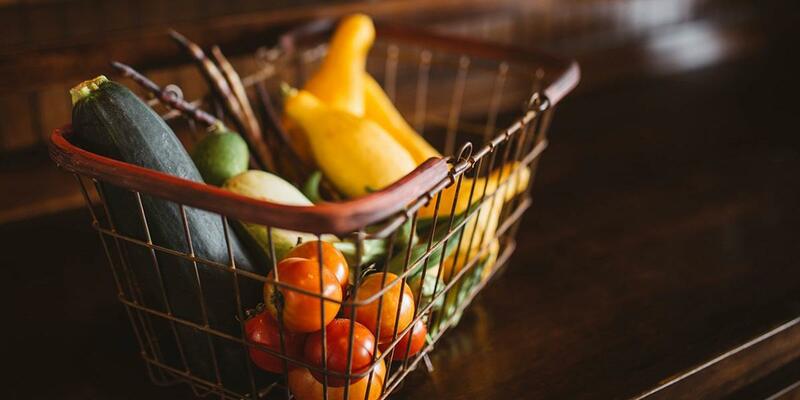 Some may want a monetary fee for renting their property, while others may allow you to use their land in exchange for a basket of fresh produce each week during your growing season. 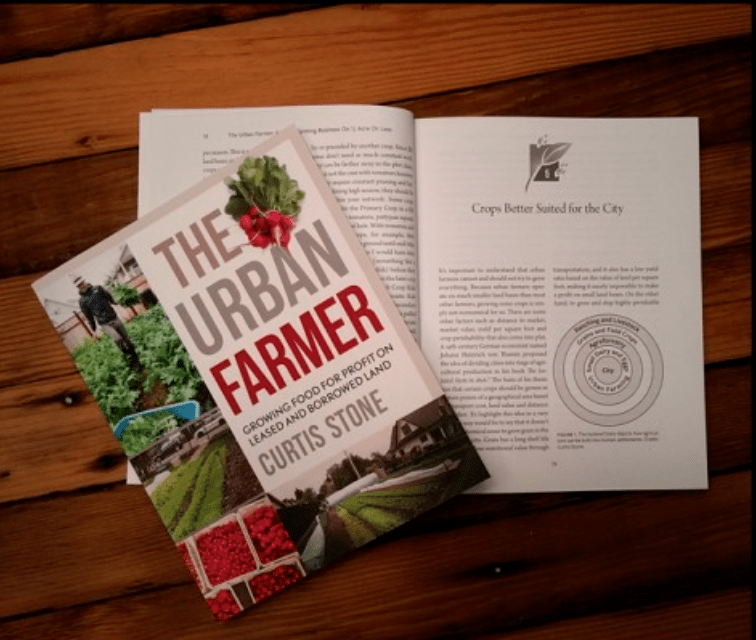 Learn More: Curtis has an online course over at UrbanFarmer which teaches his ​approach to urban food production. A micro dairy, also known as a micro creamery, is a small scale dairy farm. You might want to run one all on your own, or partner together with other people who want to run a small dairy farm on a part-time basis while having other jobs as well. 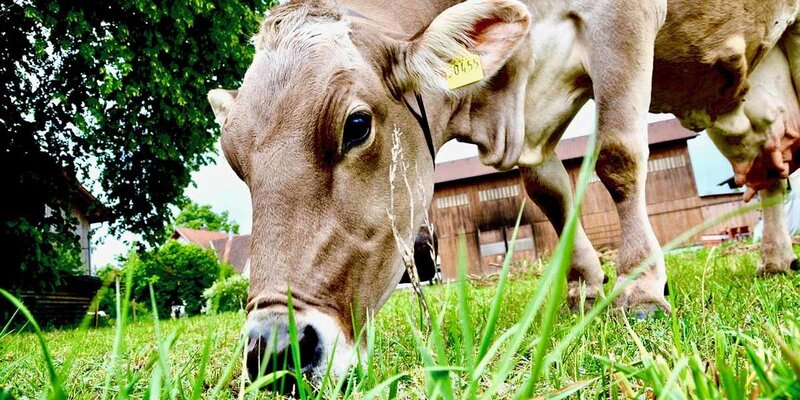 ​​To start a micro dairy, all you need is about 4 cows and about $15,000 worth of equipment. You can compete against larger dairy farms by offering fresh, locally grown milk. You can produce higher quality organic milk that comes from grass-fed, pasture raised cows without any antibiotics. That's a quality of milk that industrial dairy farms simply aren't capable of producing. 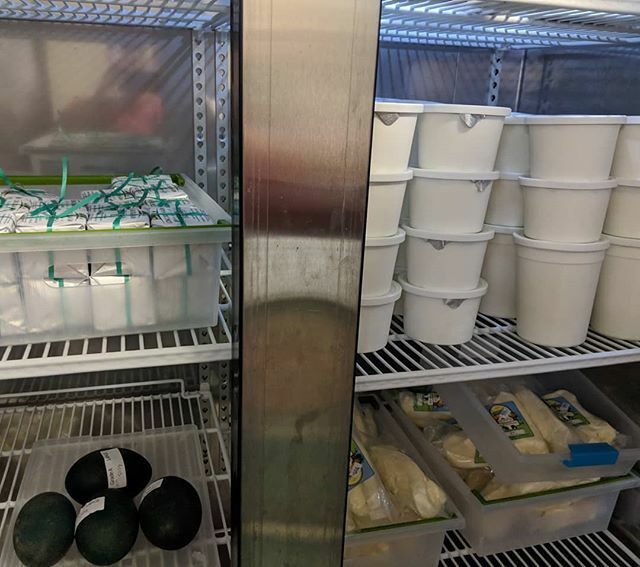 The key to a successful micro dairy is scaling up slowly. If you try to expand too fast by buying too many extra cows or making your line of dairy products too diverse, you run the risk of collapsing your business. Having a small-scale dairy farm can be a tough as your sole business, since a small farmer can't really compete on price with large-scale farms that produce milk for $1.50 per liter. But it can be a great way to diversify the different products that you offer on your farm, or at least provide your family and friends with all of your own dairy products. ​Example: Long Dream Farm, in California is a micro dairy that produces dairy ​cheese, butter, and yogurt. A small scale meat farm can be as small as simply growing 1 or 2 animals for your own family's consumption. Or you may grow enough animals to make a decent side income as well. 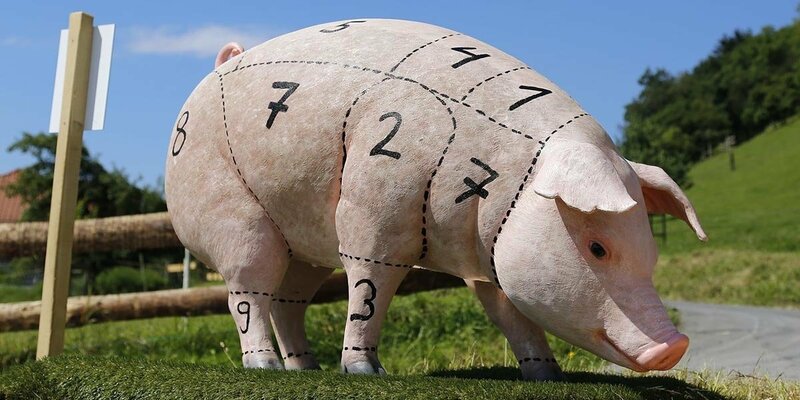 ​Pigs, cattle, and sheep are all viable options. Meat grown on small scale farms tastes better and is more nutritious. Your animals will be pasture raised instead of a large-scale feed lot. Being able to roam and graze gives pasture raised meat a richer and more complex flavor. So marketing your meat is usually not an issue. People are willing to pay a premium for quality pork, beef, or mutton. Raising animals requires a lot of knowledge. You'll need to learn all about animal health, well-being, nutrition, reproduction, and more. So there is usually a lot more to learn about taking care of livestock as opposed to something like planting fruit trees or growing microgreens. Even a small scale meat farm requires a larger investment than most items on this list. You'll need a lot of land and feed available. As well as special equipment such as pens and fencing, trailers, waterers, and more. ​Example: ​Flying Pig Farm, who run a small-scale pastured Livestock farm near to New York​, USA. You can start an herb farm from home and run it part-time. Startup costs are quite low as well. About $2,000. If you live in a cold climate, you may want to pay to invest in a greenhouse so that you can grow herbs year-round. Herbs fit into many other ideas on this list we've already discussed, such as urban farming or using hydroponics to grow them. You can sell your herbs as-is, or market them in a number of different products including teas, candles, bath products, and aromatherapy essences. Basil, lavender, chives, cilantro, chamomile, oregano, parsley, catnip, and St John's wort are all profitable herbs to grow. If you're growing other vegetables, herbs come with an extra benefit. There are many types of herbs that keep bugs away. You can interplant herbs around your other crops to repel unwanted insects while still attracting pollinators. 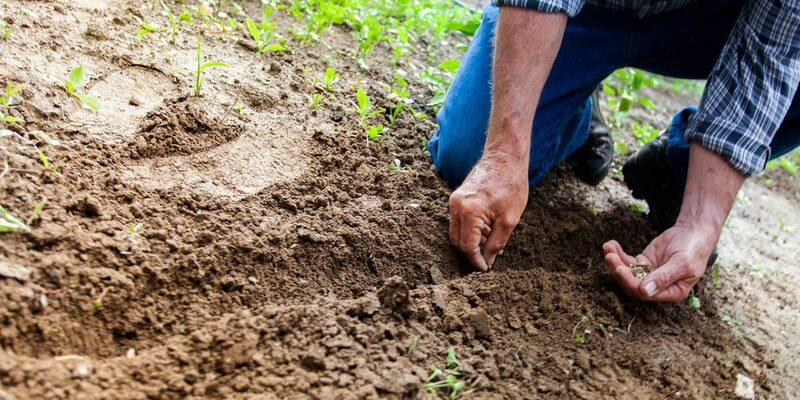 A plant nursery helps with your own farm by giving you a head-start on the growing season. You can start your plants in a greenhouse weeks before the risk of frost has passed and weather is not yet warm enough to plant them outside. 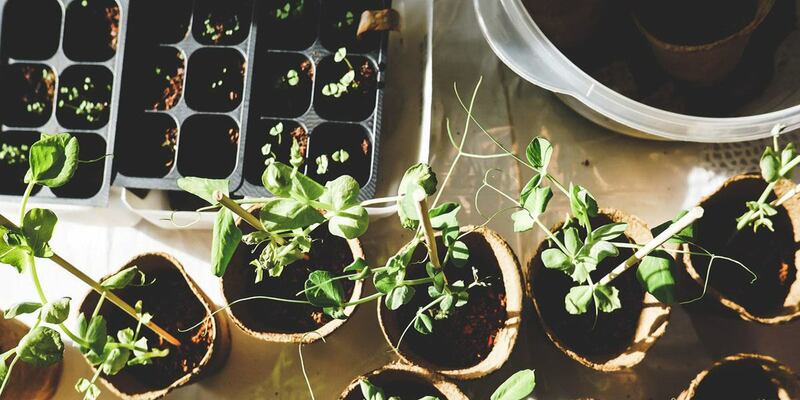 You can also grow extra seedlings to sell to other farmers or to home growers with extra space that you've got. People will always want small plants. Nurseries scale well. You can start small with almost zero capital and just some seeds, cuttings, and soil that you already have. Try raising 10 or 20 extra plants and see if you can sell them on Craigslist or Gumtree. The main thing you'll need for a plant nursery are good propagation skills. A plant nursery won't produce much income if your beds are full of unsprouted seeds or dead cuttings. It's best to pick up these skills by volunteering or working for an existing nursery before starting your own. ​Example: the ​Agrofestry Research Trust who run a nursery ​stocked with a wide range of specialist ​food crop​ trees and shrubs. Keeping bees will produce extra products for you, as well as having other indirect benefits like making your existing crops better pollinated. Having bees around your vegetable plants will dramatically increase your yield. A beehive can fit just about anywhere. You can have just one or two hives as a hobby to start with. ​​Setting up your beehive doesn't cost very much. About $500 to get everything you need including your bees, clothing and equipment, and bee boxes. 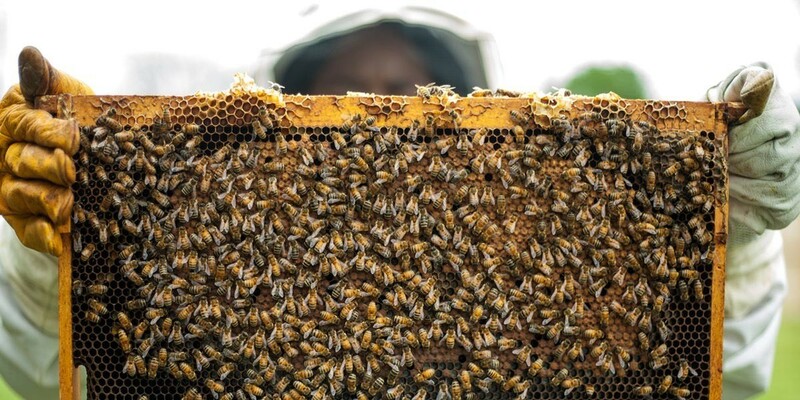 Each hive should produce about $200 worth of honey per year. But bees offer a lot more than just honey too. They also provide beeswax that you can make into candles, soap, lip balm, and other products. Bee pollen, propolis, and royal jelly are other bee products that are often considered superfoods and can fetch a high price. As your hives grow and reproduce, you can even sell bees to other beginner beekeepers who are just starting their hives, or as replacement stock to beekeepers who lost their colony to swarming or disease. Looking after your bees is very much a part-time job when you've only got one or two hives as well. Expect to spend about half an hour per week looking after your beehive. Bees require more time in warm months when you're harvesting honey, but are less effort in the winter when the hive mostly goes dormant. If you find that bees are really your passion, you can expand and make it the main focus of your farm and keep hundreds of hives. Many small farms already have chickens or produce their own eggs. And with good reason! 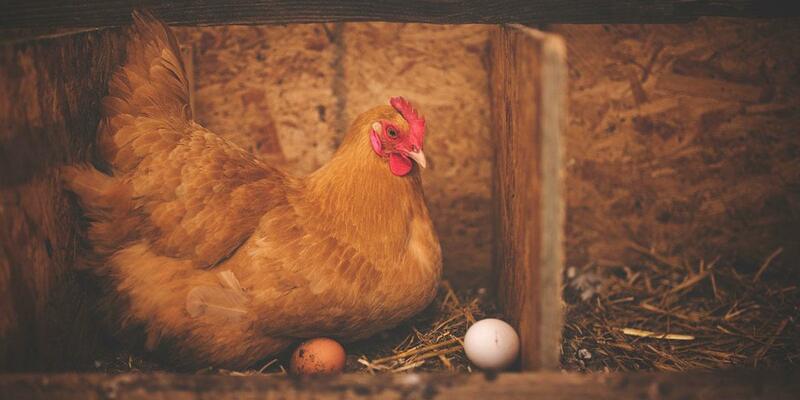 It's fairly easy and nothing beats the taste of fresh chicken or eggs laid on your own farm. I'd instead suggest buying point-of-lay pullets (young hens) that are about 18 weeks old and ready to start laying eggs. This takes a lot of risk out of raising chicks yourself. Hens should be kept for one year before slaughtered or sold as cull hens. After a year, the egg production of hens starts to slow down and eventually they'll stop laying altogether. You can sell cull hens for about the same price as buying a new replacement pullet, with all the eggs you've produced over the year being your profit. Grass-fed chickens produce better tasting meat and eggs than chickens that are factory farmed on a large scale. You won't need to give your chickens antibiotics on your small scale farm, but they should still be fully vaccinated against poultry diseases. You can sell your eggs and broiler chickens at a farmer's market, to restaurants, or direct to consumers. Having a few cartons of eggs for sale next to your vegetables at the market is a great way to diversify your products and attract more customers. If you've got extra land on your small farm that you aren't using, why not plant some firs, pines, and spruces and start your own Christmas tree farm? You can grow Christmas trees on land that aren't practical for growing conventional crops or setting up other things like pastures or chicken coops. The big downside to growing Christmas trees is the amount of time it takes to grow them. Unlike other crops that only take a season to grow, you'll need to wait 8 to 10 years from planting to harvest of your trees. Christmas trees still require some care as well, such as shaping and pruning. 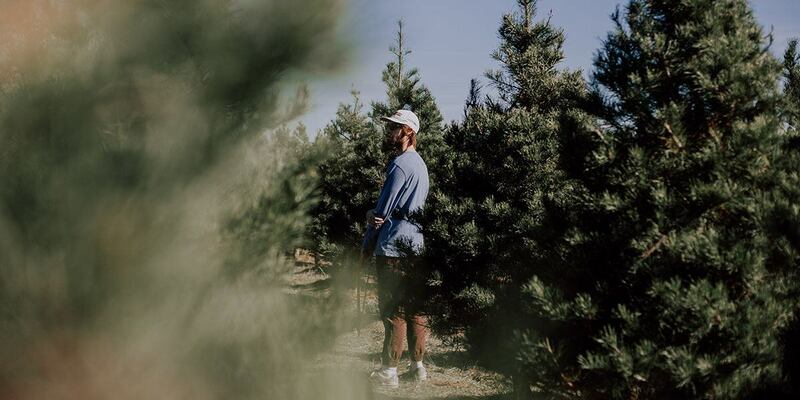 You'll need to make sure a single leader is pointing upward and shear each tree every summer once they've reached about 5 feet in height to make sure the branches grow thick and form the traditional Christmas tree shape. Overall they don't require a tremendous amount of work though. People often prefer to harvest their own Christmas tree, which further cuts down on your own labor! There's also a narrow window of time that Christmas trees are profitable. People only want them during a very specific time of the year. So it's a very seasonal crop. ​You can add to your Christmas tree business by also growing holly, making your own fresh wreaths, and much more. You read that right. Snail farming! Or heliciculture as it's more officially known. We might not be big snail-eaters in North America or the UK so the idea may seem disgusting to you. But escargot (cleaned and prepared snails) is still a popular dish in many places around the world. They're even gaining popularity in high-end restaurants here at home. In America, more than $4 million worth of snails are imported live, fresh, or frozen each year. So there could be a huge market to be explored there! Snails are hermaphrodites, meaning they can choose to be either male or female. So breeding them is easy and happens pretty much automatically. 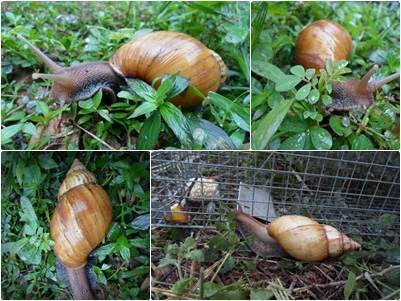 Snail farming is done in special garden beds that are surrounded by a mesh fence that snails can't get through. Snails are mostly fed leafy green plants that act both as a food source and a home for the snails. Snails are best grown at a density of about 1 kilogram per square meter. Snails tend not to breed if too much slime accumulates or if they are packed into a pen too densely. 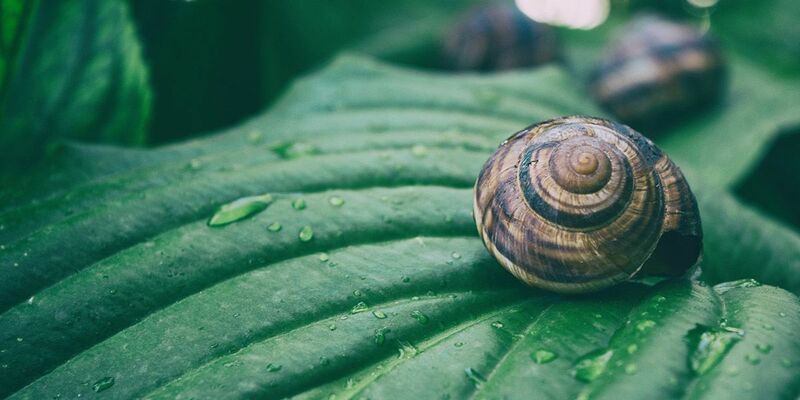 ​Other products of snail farming besides escargot include the snail mucin (slime) which is used in beauty products, and snail eggs that are sold as snail caviar. Snail caviar sells for $100 or more for a 50 gram jar, which is about 2 tablespoons worth. ​Apparently snail caviar tastes like baked asparagus or mushrooms. 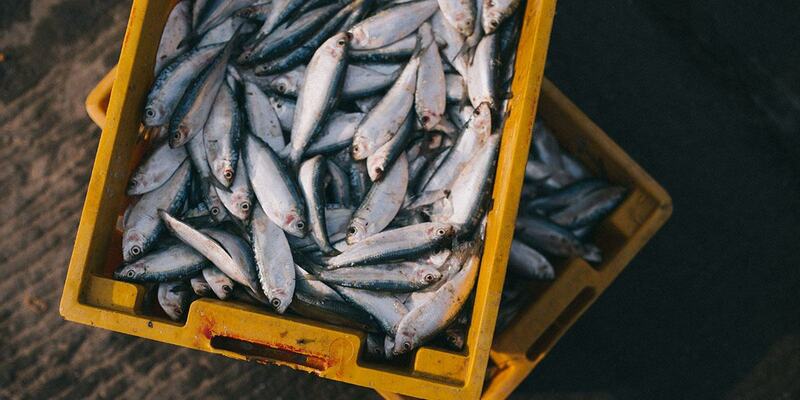 If you live on the coast, larger fish like salmon can be farmed in large containers or nets at sea. If you live more inland, you can farm fish in natural ponds or large artificial containers. Tilapia, trout, and catfish are the most commonly farmed fish. If you've already got a pond on your property, then all you may need to do is stock it with fish and feed them. If growing fish in a pond, you need to take the source of water into account. A pond should ideally have an inflow and outflow equal to its total volume each month. If inflow is too low, the pond may not have high enough oxygen content and waste may accumulate in too high of concentrations. If water outflow is too high, then too much beneficial algae that fish eat may get washed out of the pond. Shallow ponds can work, but they should be at least half a meter deep to avoid predators and weeds. You'll need to get a specific type of food based on the type of fish you're growing. In addition to growing full-sized fish, you can also operate a small-scale hatchery on your farm and sell fingerlings (juvenile fish) to other fish farmers. Farmers agree that there aren't enough slaughterhouses to support our current farm-to-table economy. You could make a part-time or full-time living on your farm by providing a butchering service instead of raising any food of your own. It's important that beef, chicken, pork, and other animals are killed safely and humanely. There may be specific certifications and permits you'll need to operate a slaughterhouse depending on where you live. It's not necessarily the most pleasant or glamorous job. But if you don't mind it, you can make a decent income by doing the dirty work that's necessary to turn live cattle into sellable pieces of beef. Getting the necessary certifications to perform kosher and halaal slaughter allows you to charge higher prices and access more specialized work. To slaughter a pig you can normally charge about $50, plus an additional $100 for butchering. 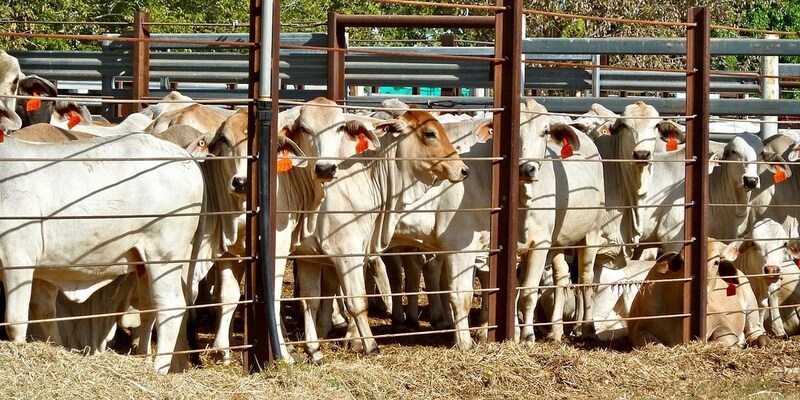 For a cow you may be able to charge as much as $500 per carcass depending on size. ​​Example: ​Farmstead Meat​smith, butcher​ and abatoir to small scale farmers in Washington state, USA. The​y also run online training and education. Adding a corn maze to your farm can be a great value-add. You'll lose some potential crops since you aren't maximizing all of the land you've got available. But in the fall once your corn maze is done, you can still harvest the majority of it. 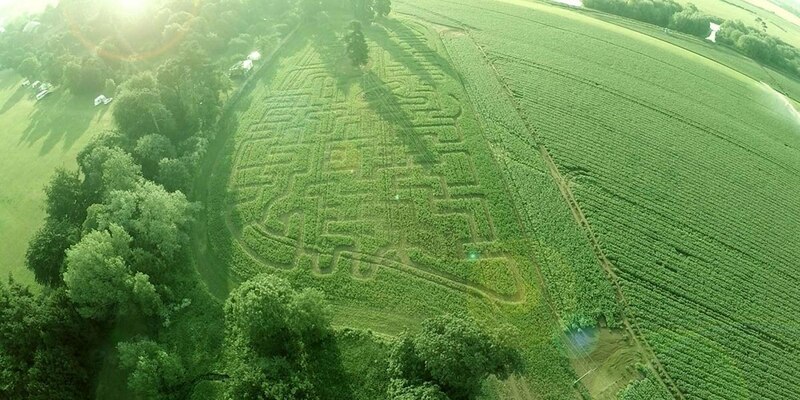 Any lost productivity can be made up by charging people to visit and enter your maze. But the real benefit of having a corn maze is as a marketing tool. It will bring people to visit your farm throughout the year, and they'll then often stop to buy some of your other crops and products. If you're raising animals on your farm, slaughtering doesn't have to be the inevitable end that your livestock faces. You can create a petting zoo to give a sanctuary to your animals for the rest of their lives once they are no longer productive on the farm. 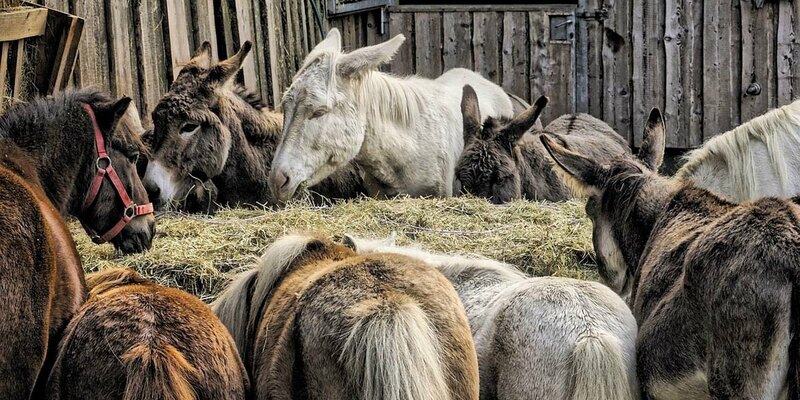 Older goats, pigs, cows, rabbits, donkeys, ducks, and all sorts of other animals can be put together to create a great petting zoo. In the spring you can put your baby animals on display for people to come to see and interact with. You might even want to get some more exotic animals like ostriches or tortoises to draw people in. You can either charge a fee to let people come visit, or make access free as a way to attract people to your farm to buy other products. Either way, you can also allow people to buy feed to feed the animals themselves.